The Calcot Park Golf Foundation is run by a committee comprising of The Head Professional, Gareth Johnston, Foundation Chairman John Meikle and the Club Captain. All of these people are available to support and encourage you throughout your time in the Foundation. 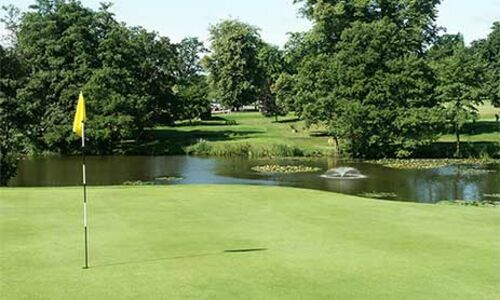 The Professional Team at Calcot Park Golf Club is led by Head PGA Professional and Director of Golf, Gareth Johnston, along with Assistant Professionals, Alex Lodge and Lewis Bird. Gareth Johnston is one of Today's Golfer magazine's Elite Teaching Professionals. As a student of the Golf Foundation you will have an absolute understanding of the reasons why your faults were occurring as well as the drills to correct your ailments in a simplistic manner. Gareth has won notable coaching awards during his training at the PGA and finished as one of the ‘PGA Coaches of the Year’. His breadth of knowledge and success as a coach has been recognised by many. On the technical side, Gareth believes in Evidence-Based Coaching. He utilises High Speed Cameras as well as the state of the art GC2 with HMT Launch Monitor. It is his belief in this style of Coaching that resulted in Gareth winning notable awards from the PGA for Coaching Achievements and Skills. Gareth does not teach 'a Method' and thoroughly believes that every golfer is an individual and therefore his coaching knowledge has to be diverse to cater for a variety of styles. He teaches any standard of golfer from Absolute Beginner to Professional, Male or Female, Young or Experienced. Alex Lodge is a Class 1 Coach and Assistant Professional at Calcot Park Golf Club currently doing his PGA qualification at the University of Birmingham whilst coaching and playing. His ultimate goal is to be a touring professional on the European or PGA Tour. Alex played his first professional tournament in 2013 when the Jamega Pro Golf Tour held one of its Pro Golf Tournaments at Calcot Park and Alex finished a very commendable third place. Lewis Bird has been fortunate enough to have been given a number of fantastic opportunities throughout his golfing career, working with some very knowledgeable coaches while travelling the world playing and working in the industry. He has gained a huge amount of knowledge about the sport and mechanics of the swing during his time as an amateur and since turning professional.